Chair Colour : Black leatherette. Chair Base : Polished stainless steel. Dimensions : 800mm high x 850mm wide x 780mm deep. Seat Size : 560mm wide x 550mm deep. 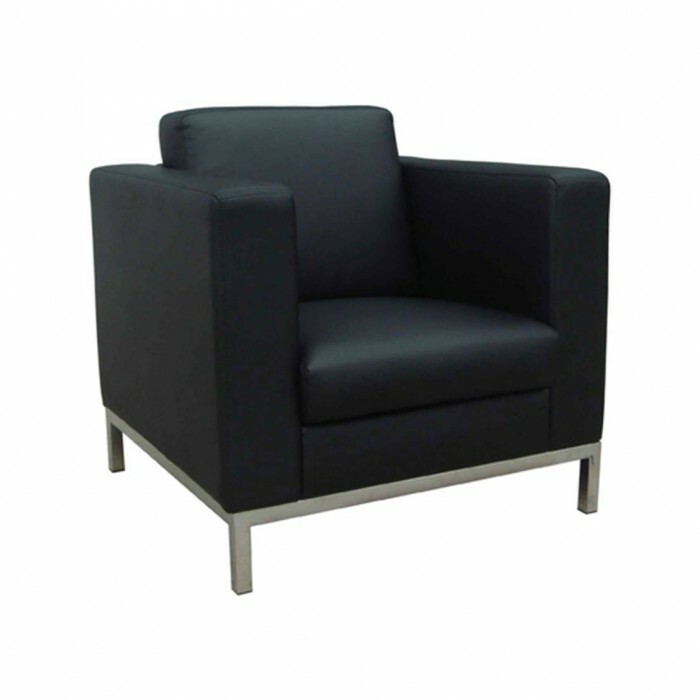 Features : A stylish arm chair with high density soft pile foam. Ideal for : Any modern office environment, boardroom, reception or exhibition stand.